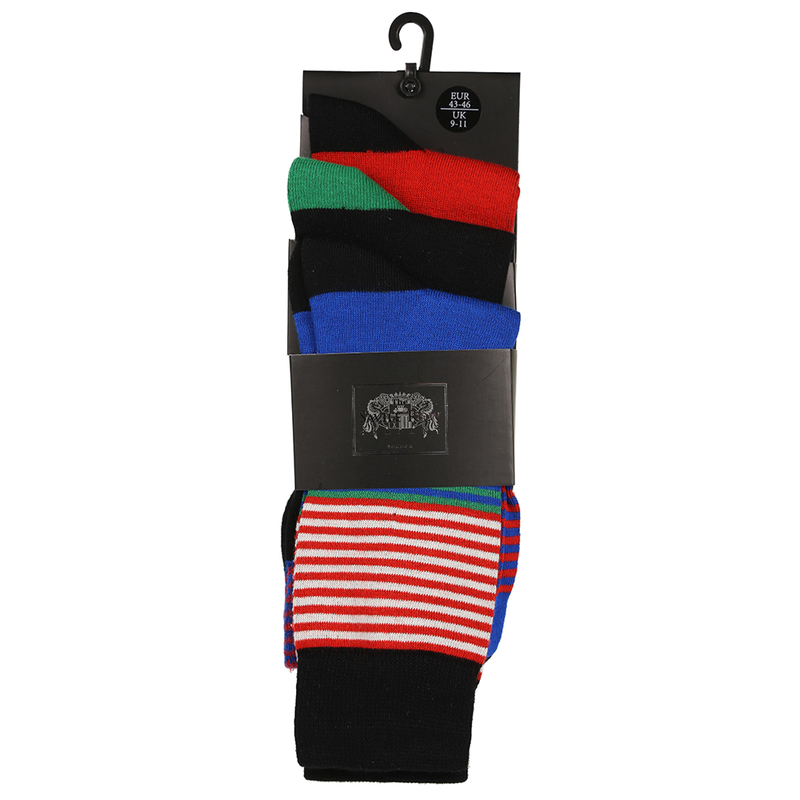 These Savile Row Dirk socks have been crafted from a soft, stretchy bamboo blend material offering all day comfort whatever you get up to. 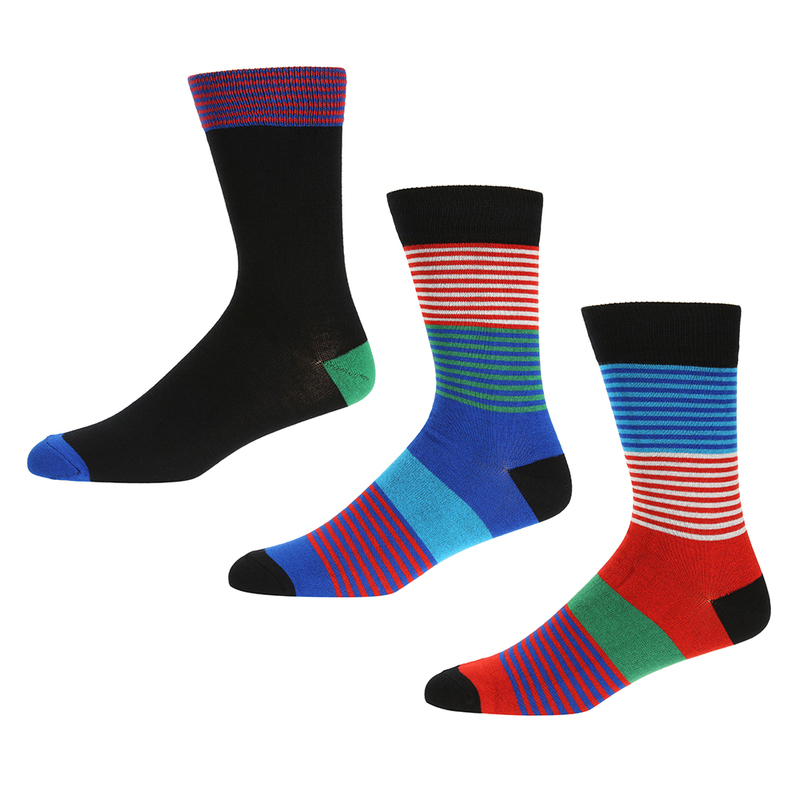 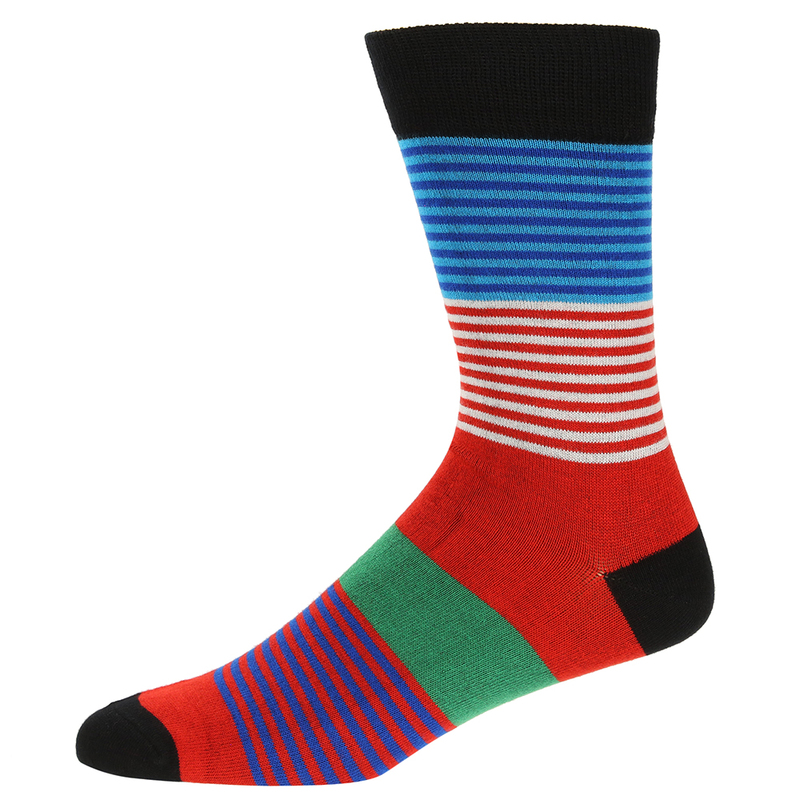 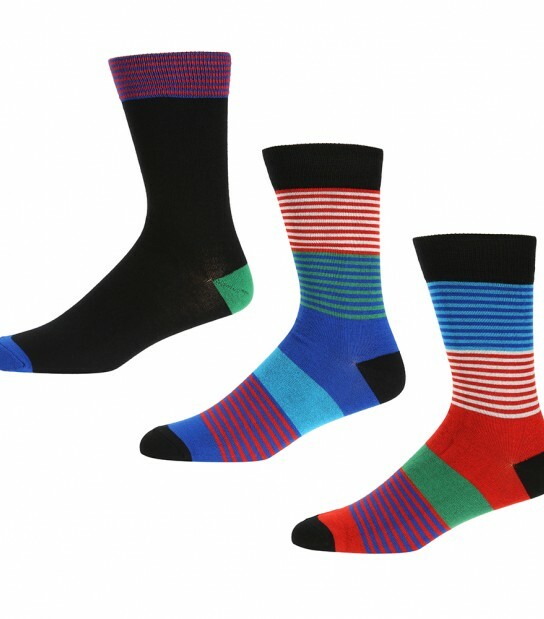 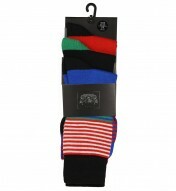 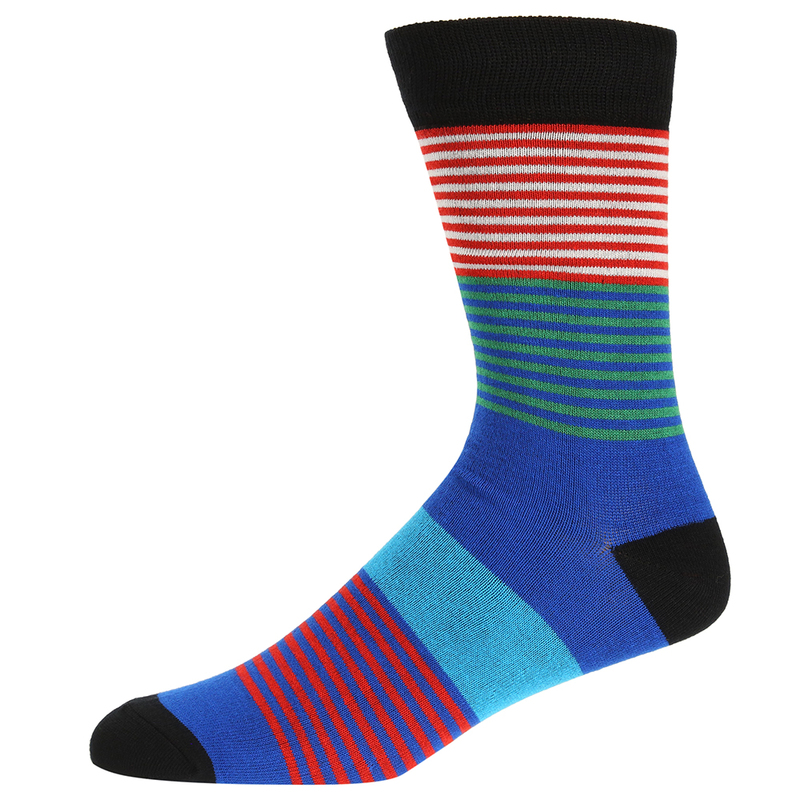 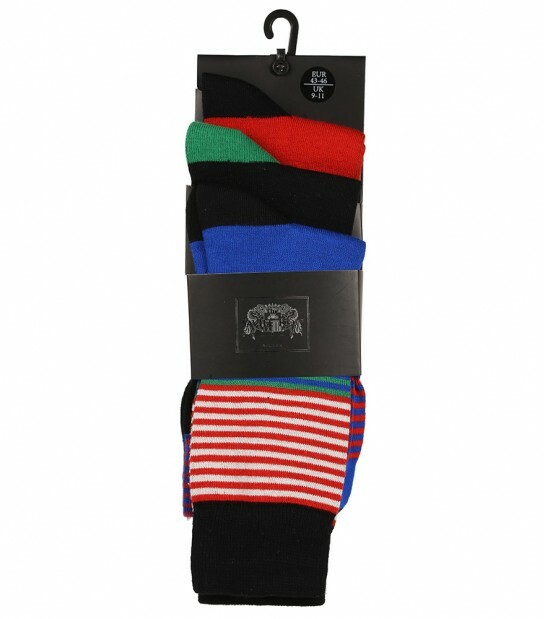 These socks come in a useful 3 pack set which consists of One Black Pair with Contrasting stripey cuff and Two Blue/Red/Green/White Stripey Pairs of socks, all which are finished with small Savile Row Branding. Fibre compositions: Stripe: 77% Viscose from Bamboo, 19% Polyester, 2% Polyamide, 2% Elastane. 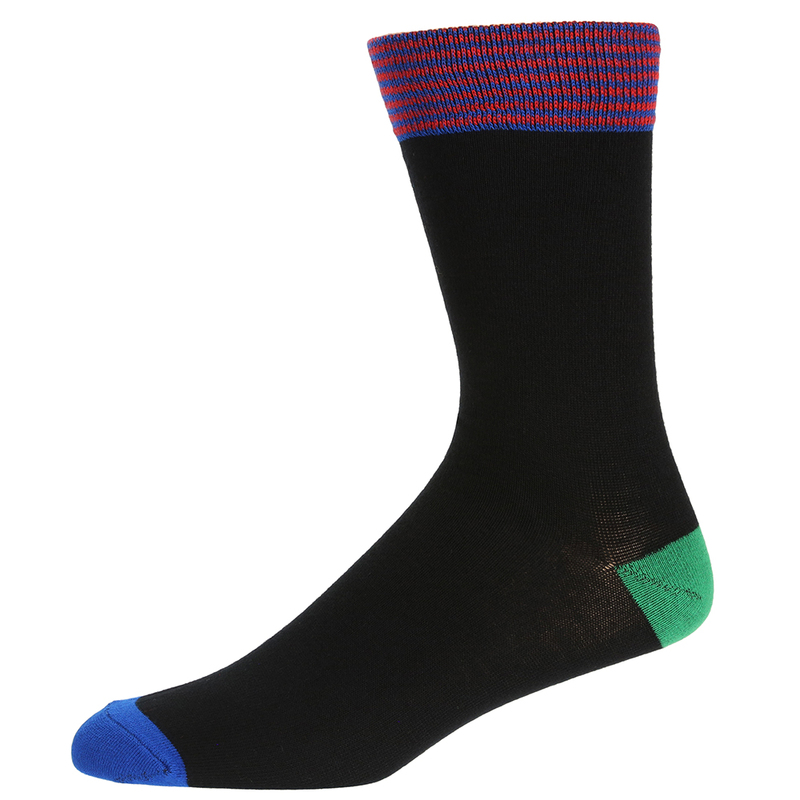 Plain: 78% Viscose from Bamboo, 19% Polyester, 2% Polyamide, 1% Elastane.